What Cut of Meat Do I Choose? I learned when I got to the counter that there are two different cuts to choose from – flat vs point. Point is fattier and more marbled, which means more flavor, but my family (including me;) is a on the picky side and won’t eat the fat, so we get flat. It’s a leaner cut. That way we can peel off the layer of fat and enjoy more of the meat when it’s done. 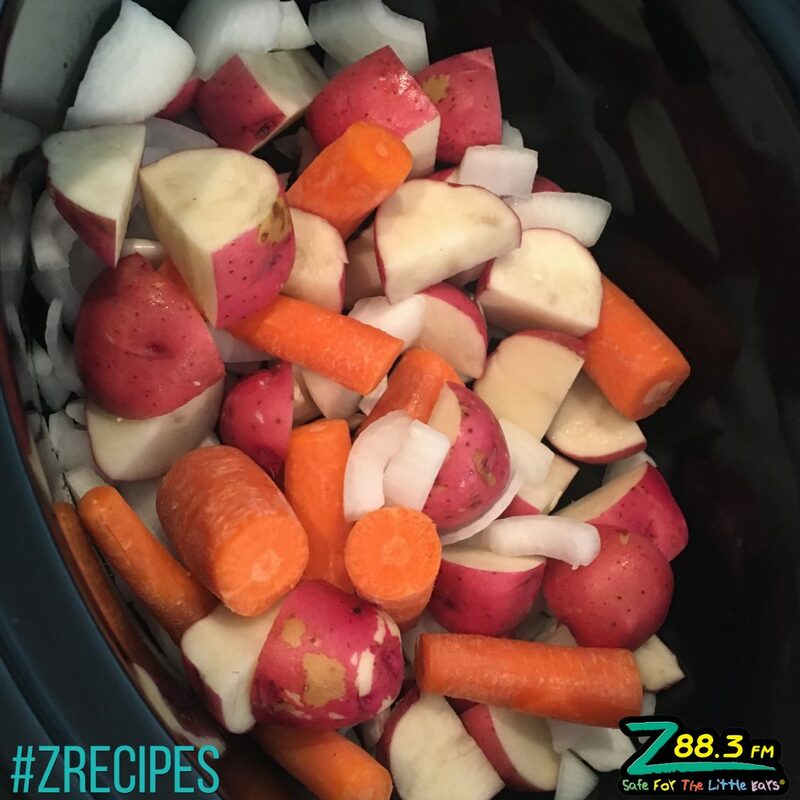 Add quartered red potatoes, chopped carrots and chopped onion to the bottom of your crockpot. I bought the flat cut of meat and placed the fat side down over the veggies, except the cabbage. 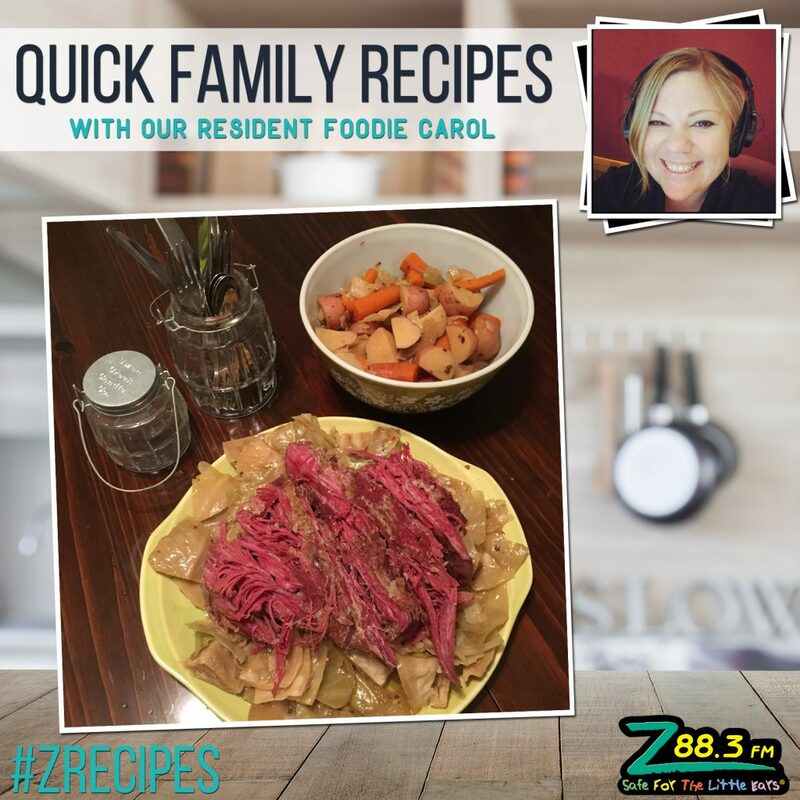 Pro Tip: Most people cook their corned beef by filling the pot with water, but if you sub out the water for 4 cups of beef broth and add a tablespoon of apple cider vinegar along with a tablespoon of light brown sugar and whisk in the seasoning packet that comes with your corned beef, then you’ve got an amazing cooking liquid that adds flavor to your meat and veggies. 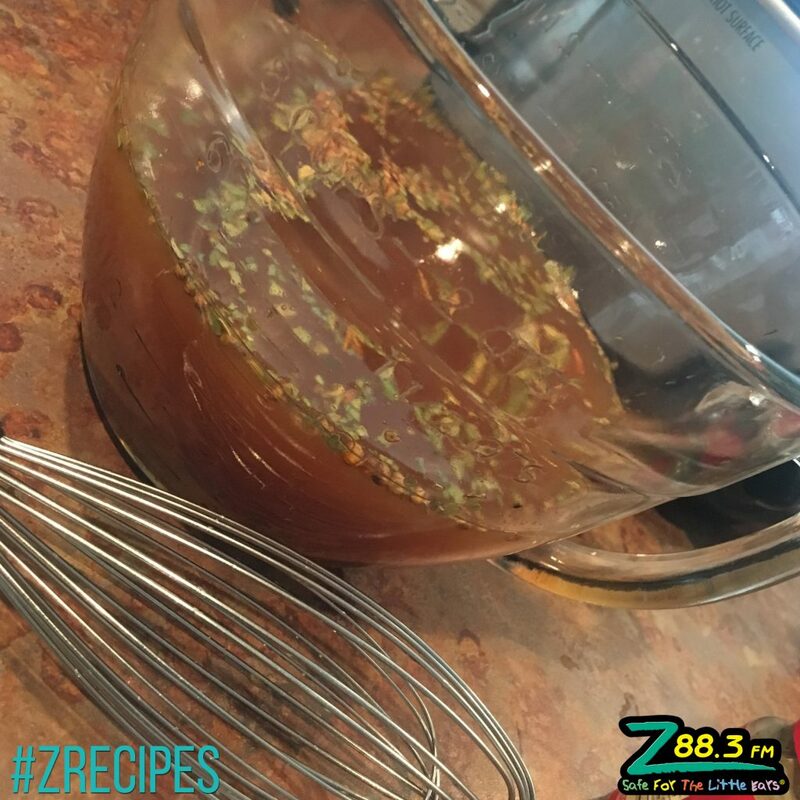 Whisk together your cooking liquid. and pour over your veggies and meat. Make sure your cooking liquid is up to the level of your meat. Pro Tip: A lot of people put their veggies on top, but then you miss out on the most amazing flavor. 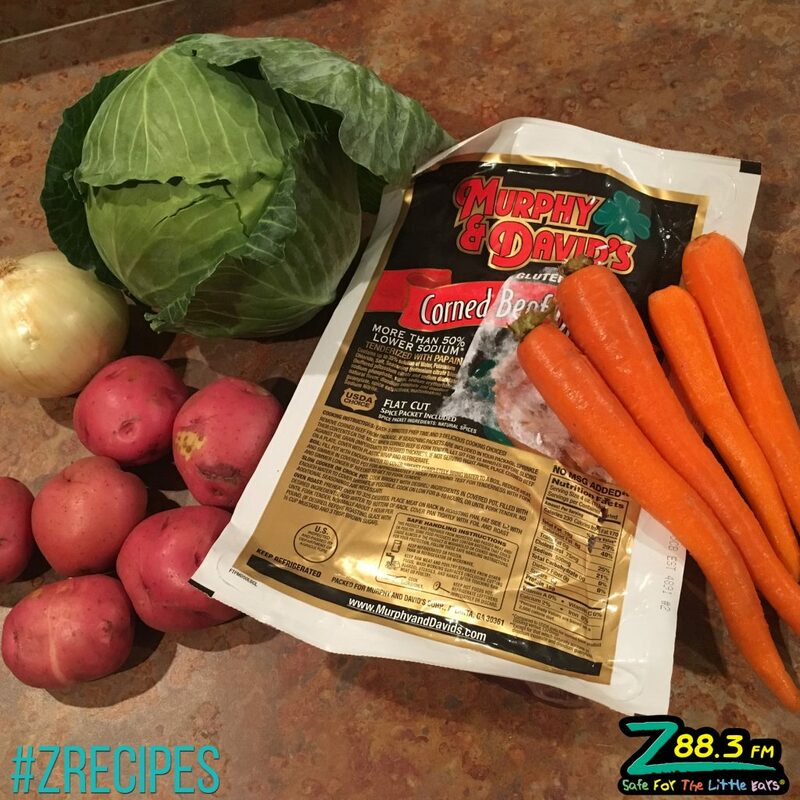 By placing the fat side down means that the juices and fat flow into your veggies as they cook, giving them amazing flavor. With the exception of cabbage…I always place the cabbage on top. You don’t want it mushy, so if you add to the bottom it’s going to overcook and get mushy. 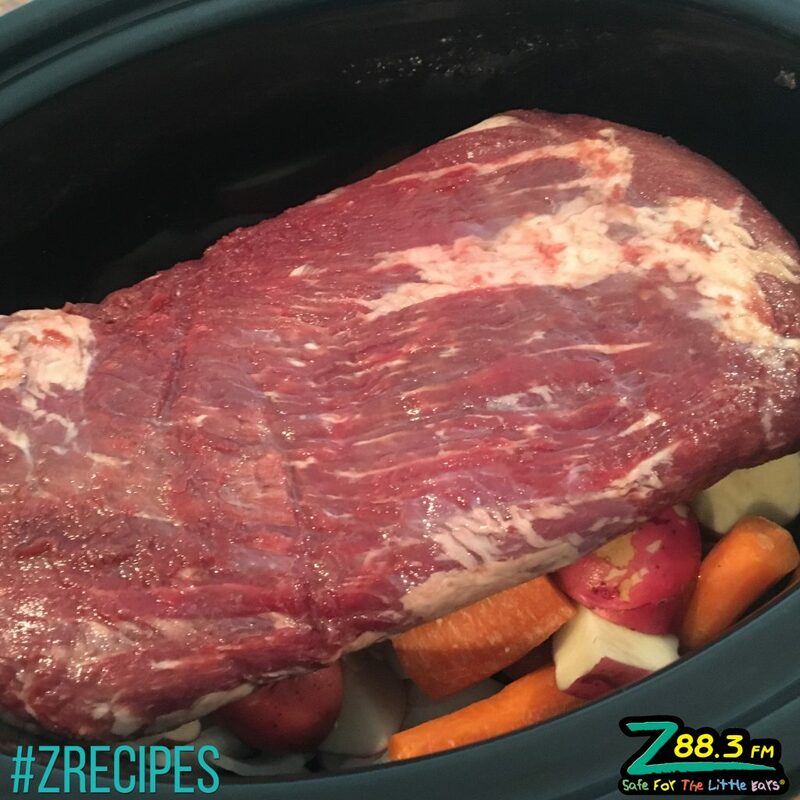 Throw the crockpot on low and let it go for 8-9 hours. All my Southern friends who know and love Brisket BBQ will understand this meat. It will become fork tender the longer you cook it. 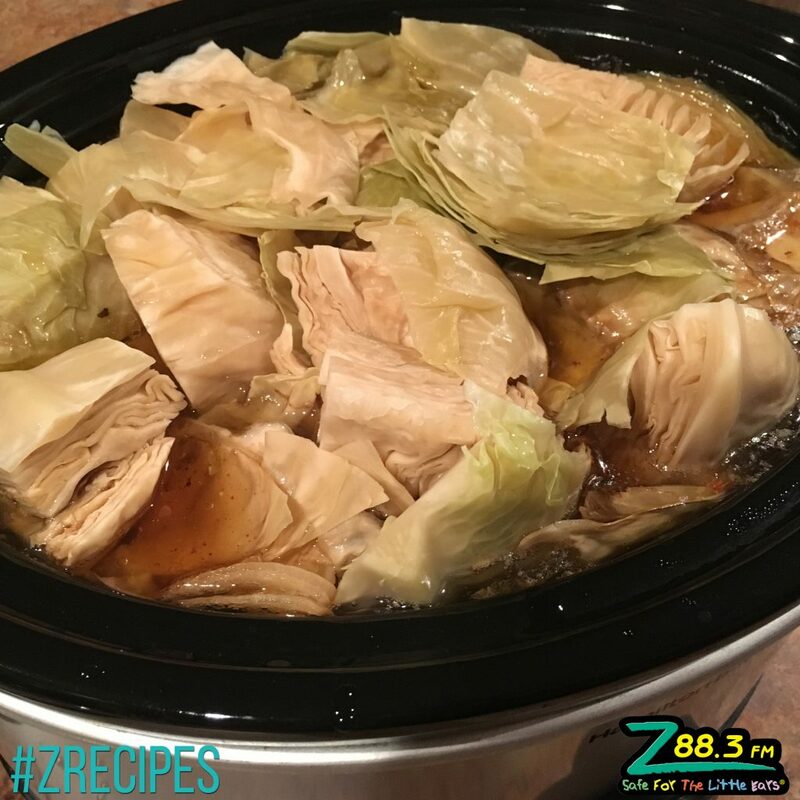 Low and slow in the crockpot is the motto for today’s Quick Family Recipe. Pro Tip: Cut against the grain if you want perfect slices like brisket or use two forks to pull apart if you prefer pulled meat. 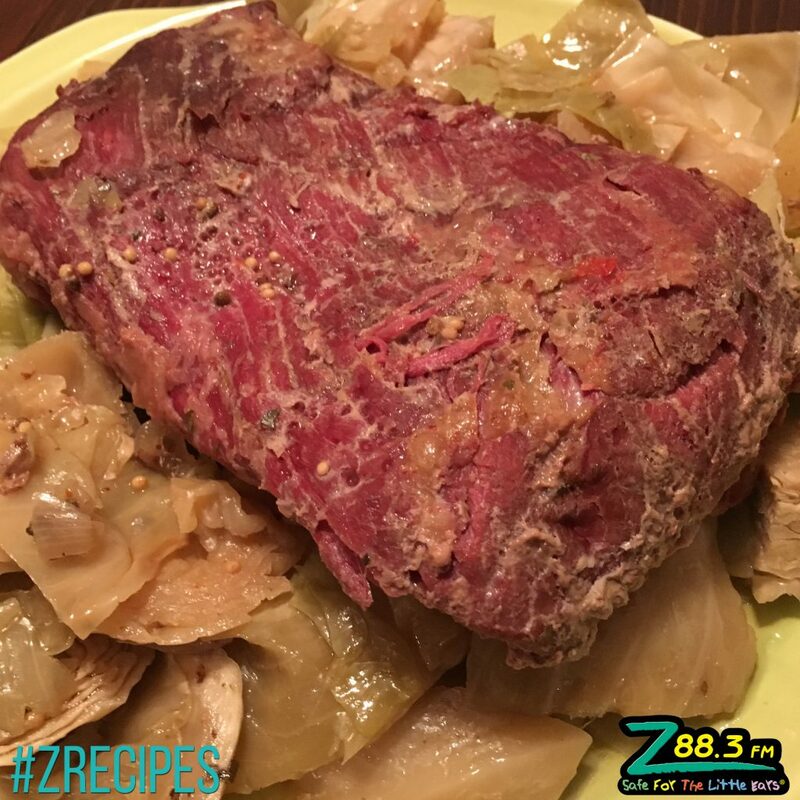 Serve your Corned Beef over cabbage. I usually grab another bowl for the carrots, onions and potatoes at the end. 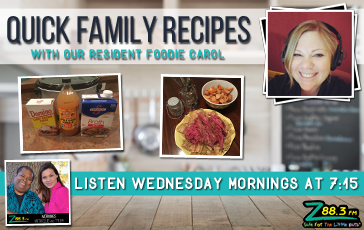 If you find yourself with any leftovers, chop everything and throw it in a skillet in the morning with olive oil and then add egg…Corned Beef Hash makes the best breakfast and it’s nothing like the stuff in the can that we grew up with! 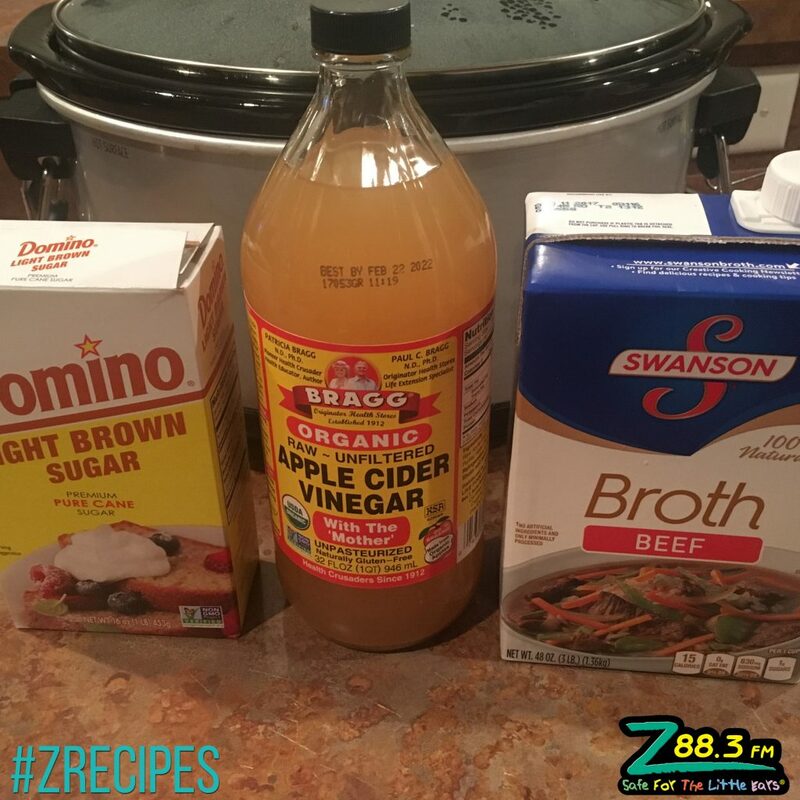 You can get the kids involved this time by have them help you with prep…mixing the cooking liquid ingredients together.